We have a vision for enabling an autonomous world for everyone, everywhere – and we’re excited to help Dubai deliver their vision for a driverless future. The Roads and Transport Authority of Dubai plays a vitally important role in developing the future of infrastructure in the city. Their remit includes preparing legislation, strategic planning, and developing the road and marine transit networks – all to the highest international standards. We are thrilled to be collaborating with them in their mission to develop self-driving transportation. Working with the Roads and Transport Authority, our aim it to support Dubai in their goal of transforming 25% of their transport services to fully autonomous solutions by 2030. Safe, sustainable, and efficient autonomous transportation is an indelible part of our future, and we at HERE know that location intelligence sits at the heart of that future. Dubai has a comprehensive strategy to make the smart city of the future a reality in our time, which will increase the quality of life for residents and visitors alike. We will be joining Dubai in deploying newly-available location technology to support that future. 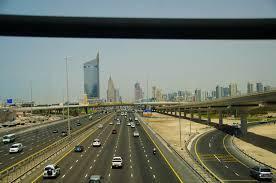 This includes utilizing the HERE HD Live Map in Dubai’s public service vehicles. Our HD Live Map is a self-healing, highly accurate view of the world that perpetually informs, gathers, then redistributes information about roadways. We’ll also focus on utilizing the HERE Open Location Platform, our system that can intelligently connect vehicles on the road with a network of other intelligence providers. That includes infrastructure elements like street lights, variable speed limits and traffic detection. In addition, the HERE Open Location Platform is also capable of ingesting anonymized data from multiple auto manufacturers and data sources. That means the information it provides back to vehicles is highly precise, contextually relevant, and delivered to vehicles in near real time. Working on autonomous systems with Dubai is a big step toward the future, and we’re excited to get to work! Following a proof of concept, we’ll be collaborating with Roads and Transport Authority of Dubai to bring new pilot programs to their streets. Our mutual aim is to deploy self-driving vehicles for when Dubai will host EXPO 2020.